The Special Investigation Team (SIT) on black money has asked Reserve Bank to develop an institutional mechanism to share data with enforcement agencies to track illicit fund flows out of the country. The SIT headed by former Justice MB Shah, in a letter to the RBI governor, impressed upon need to establish an institutional mechanism for sharing of data and stressed on effective sharing of information between various government departments. "Chairman SIT has asked RBI for an institutional mechanism for sharing of data in its various databases with the enforcement authorities," a Finance Ministry tweet said today. It has asked banking regulator RBI to develop an institutional mechanism to track illicit financial flows out of the country. The Supreme Court appointed SIT was set up to suggest methods to curb black money in the economy. The SIT feels that the data can be shared only by having one agency such as Central Economic Intelligence Bureau (CEIB) or any other agency, as a data warehouse. "From the said data warehouse, various agencies can gather the relevant information for taking early appropriate action," the SIT said. It said since the data would be available with one agency, it can be relevant to action expected to be taken by other law enforcement agencies. At present, RBI holds the information with respect to all types of foreign exchange transactions under various categories. "SIT feels that for controlling and tracking illicit financial flows out of the country, use of RBI data by various law enforcement agencies, like Enforcement Directorate, Directorate of Revenue Intelligence and CBDT is of critical importance," the Finance Ministry further added in a statement today. The SIT in its letter has suggested that RBI gives access to data relating to foreign exchange transactions of all authorised dealers with authorities like enforcement directorate and Directorate of Revenue Intelligence. Foreign Exchange Transactions Electronic Reporting System (FET-ERS), which holds the said data should capture the PAN number of the importer or exporter and that RBI should take necessary steps to get this done on an "urgent basis". As regards Exports Outstanding data, the SIT said huge amounts were found outstanding beyond a period of one year in violation of FEMA. The SIT had noted that the possibility of the concerned companies having wrongly claimed duty drawback also cannot be ruled out. Further, the possibility of the concerned Companies having availed of various export promotion schemes also cannot be ruled out. RBI maintains export realisation data in its EDPMS database. The SIT in his letter has also observed that it is important to co-relate shipping bills with confirmation from banks on the EDPMS database itself rather than Bank Realisation Certificate (BRC) which is different database and that RBI may impress upon the banks to inform regarding realisation of export proceeds on the EDPMS itself. With regard to 'monitoring of Advance Remittances against Imports', the SIT in wake of the Bank of Baroda scam, the SIT had asked RBI to institutionalise a mechanism for cross checking of advance remittances against Bill of Entry irrespective of value of advance remittances sent. RBI had informed the SIT that huge advance remittances running into billions of dollars were outstanding as on 30 September, 2015, for which Bill of Entry correlation has not been done. 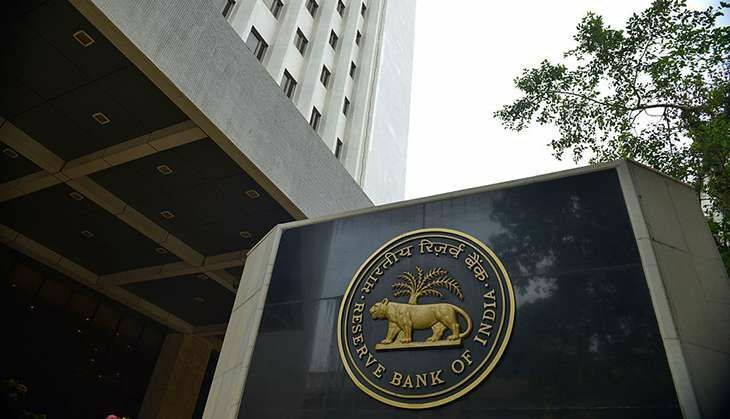 "SIT had thereafter asked RBI to get this co-relation completed and inform," the statement said, adding SIT has asked RBI to complete this exercise at the earliest. SIT in his letter expressed satisfaction that IDPMS (Import Data Processing and Monitoring System) is being set up by RBI which is expected to be launched by the end of September, which will enable cross checking of each advance remittance irrespective of value against the Bill of Entry. "Chairman, SIT in his letter requested RBI to develop, in consultation with Department of Revenue, an institutional online mechanism for sharing of data of all the above three databases being managed by RBI i.e. FET-ERS, IDPMS and EDPMS," the statement said. It has also asked the Revenue Department to identify a single point agency in the department which could access the above three databases and could thereafter disseminate them to various Enforcement Agencies. The SIT in the past had raised this concern and had requested RBI to provide data on advance remittances sent abroad for which corresponding Bill of Entry has not been received by the authorised dealer. It had also requested RBI to provide details of export outstanding for more than one year. "The data provided by RBI on both the above counts clearly showed that there are gaps in monitoring the above trade flows which are used by unscrupulous elements to take out precious capital outside the country, thus damaging the fabric of Indian economy," the Finance Ministry said.